For this project, the team at Danetre Glass worked alongside a really good local builder who had just completed an extension for this property. We were asked to install four brand new uPVC bi-fold doors in anthracite grey. These doors completed the modern look of the extension, which was being used as a kitchen. The doors also opened out onto the patio area of the customer’s garden; a perfect addition for the summer season. 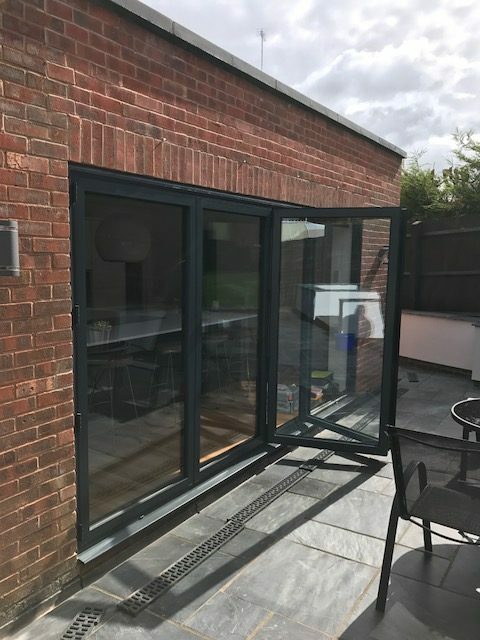 If you are interested in installing bi-fold doors in Daventry into your property, then get in touch with us today. 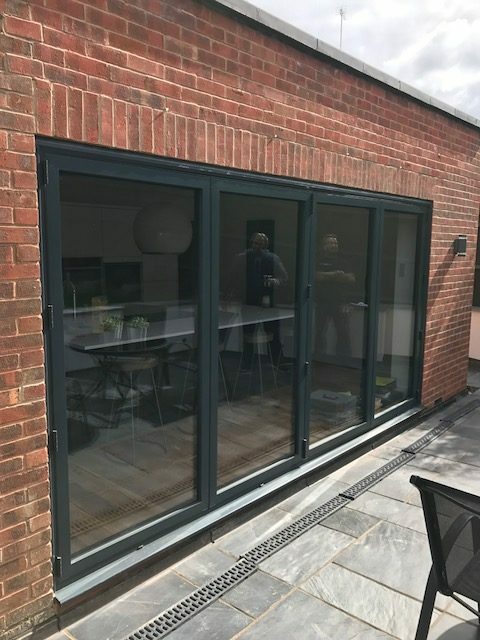 "The bi-fold doors that Danetre Glass installed into our new extension has transformed the space in our home and opened it up to to stunning views of our garden. Love them."